Highest quality OEM External Fuel Pump for E30 M3. Why OEM? The same high quality unit that has lasted years as originally fitted will continue to be the best choice, it's worth the few extra dollars over a generic replacement. When avalible, we try and source the Pierburg brand OEM pump show in the picture. Bosch will be substituted if Pierburg is not avalible. 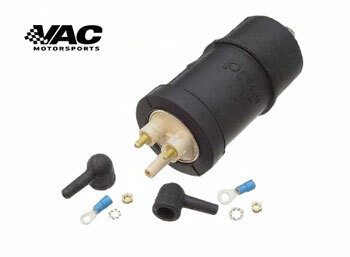 Don't wast time and money at the dealer, get a great price from VAC Motorsports!